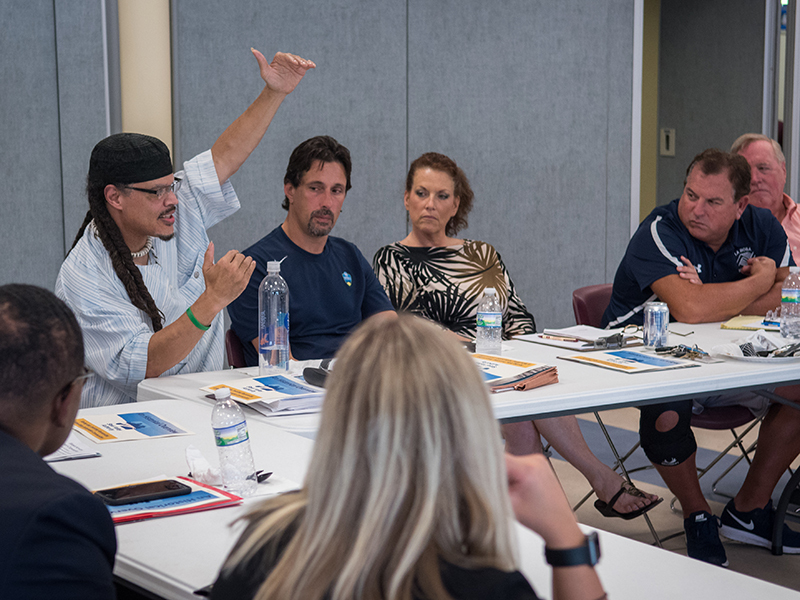 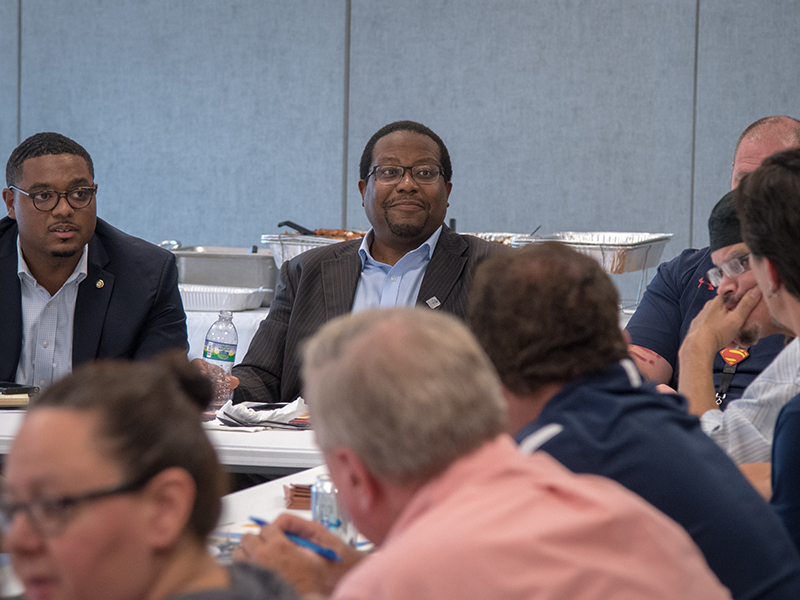 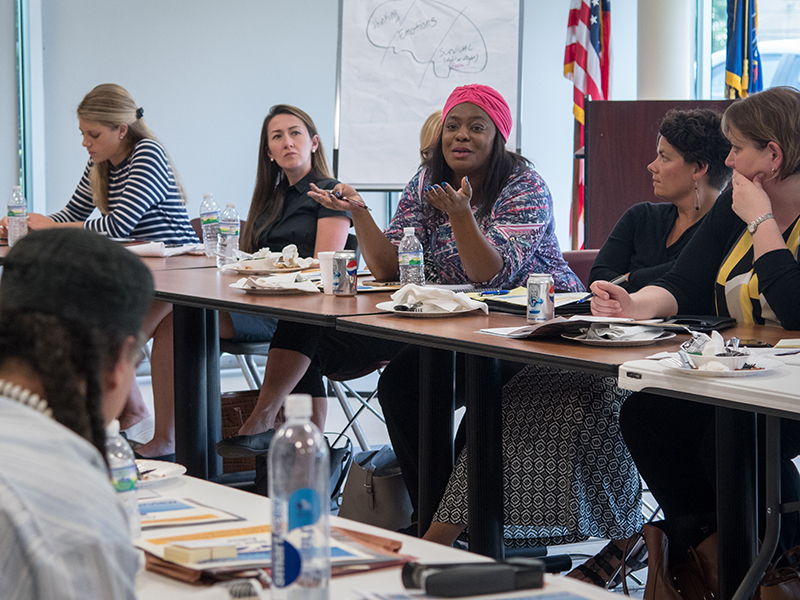 Select University faculty and staff learned about community needs and partnership opportunities within the Mon Valley as part of a recent off-campus tour coordinated by the Office of Community Engagement (OCE). 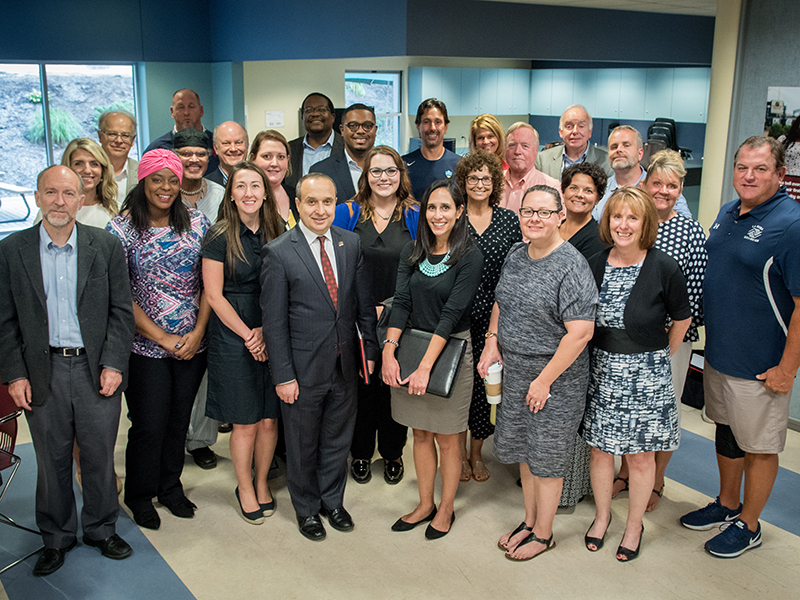 State Rep. Austin Davis hosted the listening and learning tour on Aug. 10. 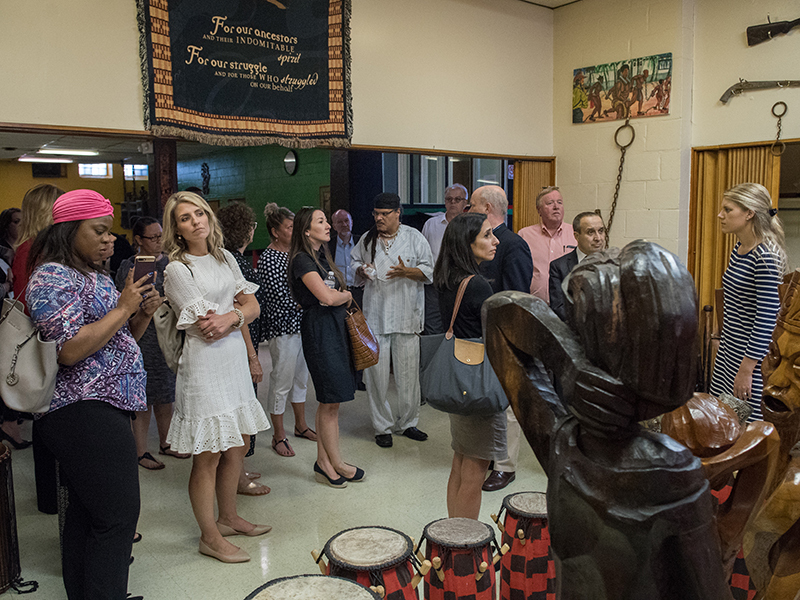 Participants also watched presentations by several organizations, including Auberle, a non-profit human services agency serving at-risk children and families; the Steel Valley Authority, a governmental authority that promotes manufacturing jobs; the Consortium for Public Education; a nonprofit that works with more than 40 school districts; and Economic Development South, a community development corporation serving communities south of Pittsburgh. 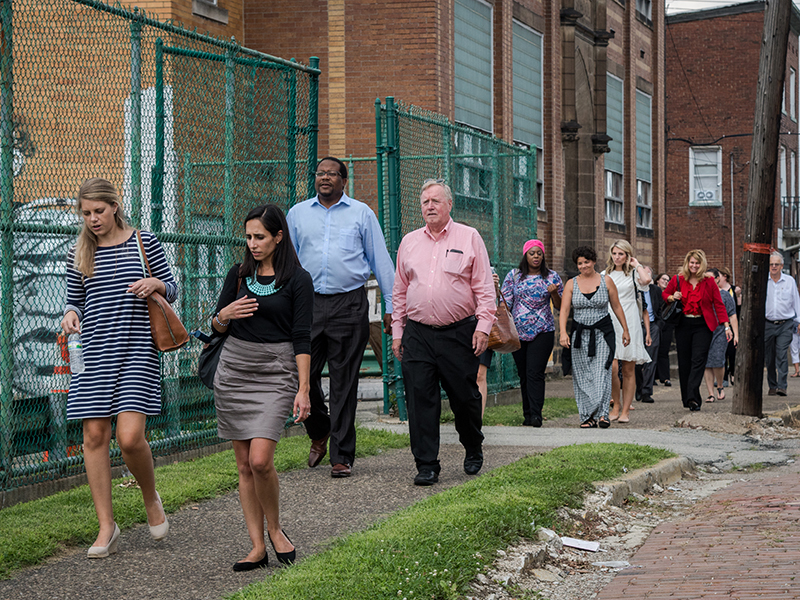 Davis also led the Duquesne group on a bus tour of McKeesport and Clairton to highlight areas and programs with potential for growth and development.